Drawing Studio, Bournemouth Arts University. Sir Peter Cook, 2016. Photo: Pauline Mousley. Shoes designed by Zaha Hadid, the Museum of Plastic. Photo: Pauline Mousley. 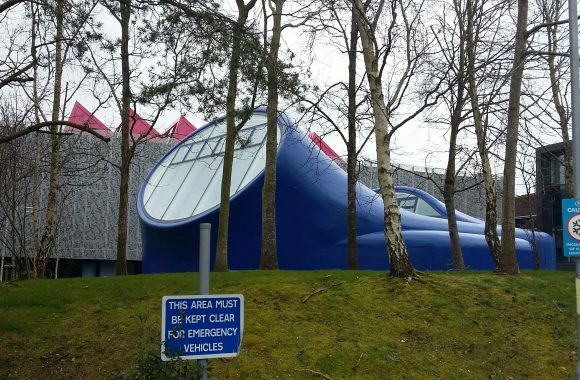 Pauline Mousley reports on the recent Southern Group visit to the Zaha Hadid Exhibition at the Bournemouth Arts University Gallery, and their second stop at the Museum of Plastic. Our first attempt to visit this campus was ‘snowed off’ and the same nearly happened to the second one but a core of intrepid members made it through! 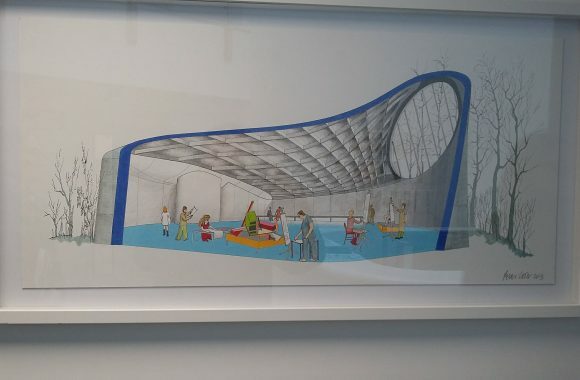 We had a super introduction to the Hadid exhibition by David Lund, Senior Researcher and ‘modelmaking in architecture’ historian who worked on producing the exhibition. This focuses on the evolution of Hadid’s initial designs through drawings, models and now, virtual reality, to the finished product. There is an accompanying book ‘Evolution’ which is well worth seeking out. 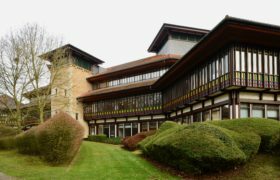 Keeping venturing out in the cold to a minimum, we took a quick look at the ‘Drawing Studio’ by Sir Peter Cook of CRAB – his first building in the UK – which was opened by Zaha Hadid shortly before her death. Apparently she closed her speech with ‘I simply love this building’. 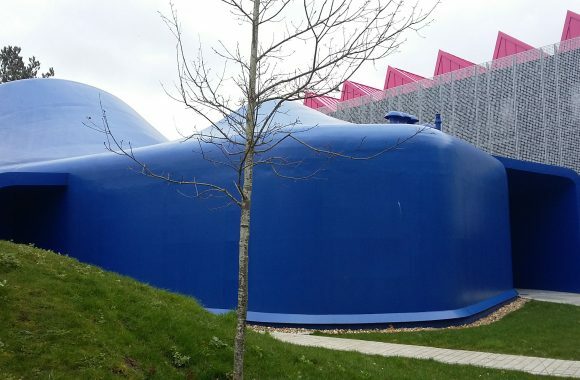 Purpose built as a drawing studio, the building ‘celebrates four aspects of light in the studio tradition’ – a curvy mass of blue. We were then shown the drawings for the next building for the campus by Sir Peter Cook – a vision in orange. Grounds for the next visit there! 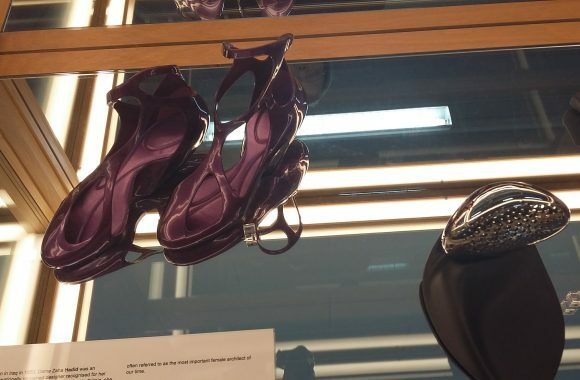 We finished with a quick tour of the Museum of Design in Plastic which featured some plastic shoes again by Zaha Hadid and explored the use of plastic. Then home before the snow settled too much!